I haven't been shot, stabbed, or run over by a homicidal maniac behind the wheel of a car. No, the reason I've been glued to the bed is a bad case of the flu. I'd like to tell you about what I've read this week, but I'll have to make it quick. I need my hands free for wielding a tissue or for pulling the covers firmly over my head. I don't think Wallace Stroby's Crissa Stone has ever pulled the covers over her head in her life. That doesn't mean Crissa hasn't pulled a blanket over another person's head during her work as a professional thief. Crissa isn't her real name, but it's the name she uses to rent her New York City apartment. 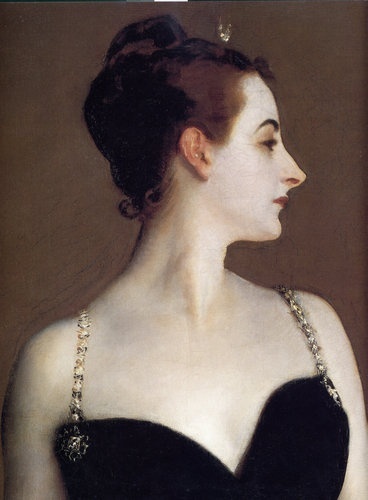 She lives in a way that allows her to jettison a name and disappear at a moment's notice, according to rules her mentor and lover, Wayne Boudreaux, taught her. Wayne didn't do a good job following those rules, and now he's in a Texas prison with seven years to go on his sentence. For $250,000 placed in the right hands, Wayne's upcoming parole hearing might go well. This means the cool-headed and resourceful Crissa is desperate for money and must perform a robbery she might otherwise turn down. I don't want to say anything more about the plot. This hardboiled book, published in 2011, is absolutely terrific and deserves to be read "cold." 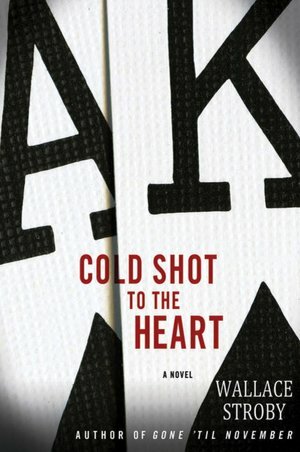 Stroby's Cold Shot to the Heart is the first in the Crissa Stone series. The sequel, Kings of Midnight, is due out in April 2012, and I'm really looking forward to it. Crissa is the best bad woman I've met in a long while. Stroby has a big talent for intricate plotting and finely-tuned characterization. It's not easy to make career criminals sympathetic, but it's easy to root for some of them in Stroby's book. It's not at all easy to put this book down. Duane Swierczynski's Fun & Games is another book difficult to close before the finish. In this one, Charlie Hardie is an ex-consultant to the Philadelphia Police Department who had a very stressful time and now makes a living house-sitting for wealthy clients. Charlie has just arrived at his current job in the Hollywood Hills, where he plans to settle down on a comfortable sofa with a cold drink and a classic movie in the DVD player. But the key isn't in the mailbox where it should be. And there's a woman in the house where there shouldn't be. Charlie has wandered into an assassination scenario set up by the Accident People, who specialize in fatal "accidents" with a "narrative" that will make them plausible to the cops and the public. This June 2011 book, the first in the Charlie Hardie trilogy, is relentless adrenalin-fueled action. I stashed my disbelief under the bed and enjoyed the book, but I was almost relieved when it was over. The second in the series, Hell & Gone, was published in October 2011, and I'll have to read it to see what Swierczynski and the Accident People have next in store for poor Charlie. He doesn't get much of a breather before his third appearance in Point & Shoot, due in March 2012. One more book, and then I'll go back to sleep: Anne Holt's 1222, a snowbound, locked-room mystery that's a homage to Agatha Christie's And Then There Were None. 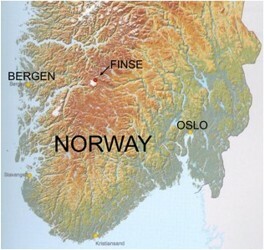 After a Norwegian train derails during a blizzard at the top of the Oslo to Bergen line, the 269 passengers are evacuated to the hotel near the station, Finse 1222. Luckily, the hotel is almost empty, and the staff is happy to make the passengers at home and to stuff them with gourmet food. Among the passengers are a right-wing media personality, a Muslim couple, several priests, a physician who's a dwarf, good-looking bad boys in hoodies, and a beleaguered financier. Although some suspect royalty, nobody's quite sure about the mysterious passengers from the special carriage at the end of the train; they were evacuated first and are now in a cordoned-off apartment guarded by armed men. Let's not forget the passenger/narrator, grumpy and antisocial Hanne Wilhelmsen, who retired from the police force four years ago when a bullet severed her spine and left her paralyzed from the waist down. She hates being carried, so she refuses the offer of a bedroom and spends most of her time in the lobby, a good place for observation from her wheelchair. Author Anne Holt, who once worked for the Oslo Police Department and is a former Norwegian minister of justice, creates an atmosphere of increasing claustrophobia and tension inside Finse 1222 as the temperature drops and the blizzard worsens outside. It's the worst storm Finse has seen in 100 years, and nobody can leave until it subsides. When people start to die, Hanne––aided and impeded by a trio of helpers––has to deal with it whether she wants to or not. 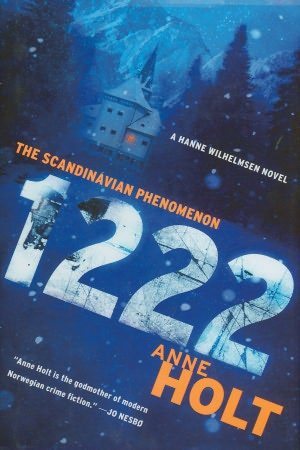 1222, published in 2011, is the eighth Hanne Wilhelmsen book, but it's the first to be translated into English (by Marlaine Delargy). The book's dedication says, "This book is a little bit serious and a lot of fun" and, while there are no surprising twists and turns, it is fun. I love snow, and Holt writes so beautifully about it, it becomes a character. She shows a good sense of humor with her colorful cast of people. I enjoyed Hanne and this book, and I'm looking forward to reading the others by this best-selling Norwegian writer. The first book in the series is due to be released in English as The Blind Goddess in the UK in June 2012. And now, I'm looking forward to going back to bed. So sorry to hear you're sick. But thanks for the book recs. I've been thinking about 1222 for awhile, and you've pushed me over the edge. I also have a Swierczynski on the TBR shelf called SEVERANCE PACKAGE. I picked it up at a book sale. I'm a sucker for workplace mayhem mysteries. Remember, it's Leap Day, and nothing you do today counts! Good morning, Sister Mary. I liked Holt's 1222, although I had to put an extra blanket on the bed while I read it. I read Swierczynski's SEVERENCE PACKAGE. To say it is "workplace mayhem" is putting it lightly. Man, Swierczynski has a very warped psyche and totally unbelievable energy. Brace yourself.